Size: We have two sizes for your choice. 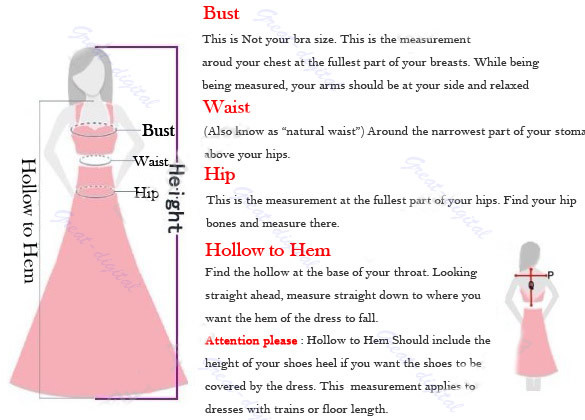 Compare the detail sizes with yours, please allow 1-4CM differs due to manual measurement, thanks! 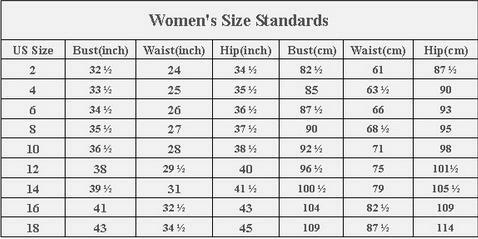 Bust: 66-90cm / 26.0-35.4" 70-94cm / 27.6-37.0"
Waist: 66-88cm / 26.0-34.6" 70-92cm / 27.6-36.2"
Length: 51cm / 20.1" 54cm / 21.3"
-Please ignore the tag size comes with the clothes. The tag size sometimes can be a larger than our description size because those are for Chinese. 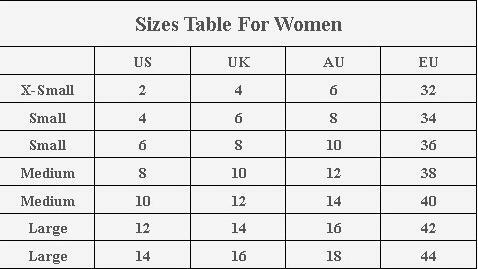 We are 1 or 2 sizes smaller than European and American people.